Once you feel confident using the present perfect simple form, it’s very useful to learn how to use the present perfect continuous. As you’ve seen, the present perfect simple is quite challenging, and this is also true of the continuous form. But once you’ve learnt how to use it naturally when you speak, you will stand out as someone with a good command of the language. 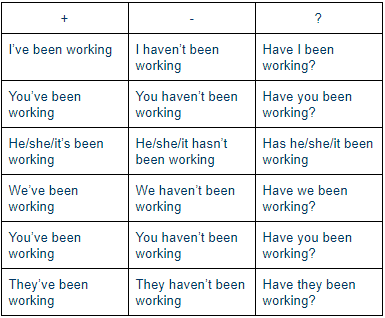 So what is the present perfect continuous and how does it differ to the simple form? What’s the Present Perfect Continuous? I’ve lost my purse. Can you help me find it? The action of losing the purse is recent and has a consequence now. She’s been working hard all day. She’s tired because she’s been working hard. You’ve been studying English for a few minutes. Let’s look at the main uses of the form in more detail. He’s been running since 3:30. They’ve been talking all afternoon. We’ve been waiting for an hour. I’ve been staying with Tim while my flat’s being renovated. As you can see, it’s common to use for and since with this tense to express the time. The kids have been playing in the garden all afternoon and they’re covered in mud. This means that the children started playing at the beginning of the afternoon. It’s probably late in the afternoon now. They might still be playing or they might have recently stopped. And the consequence of the action is that they’re dirty. Tom has been repairing my car. He’s got oil on his hands. She’s red because she’s been lying in the sun all day. They’ve got blisters on their feet because they’ve been walking since 9 a.m.
My eyes are tired because I’ve been working on my computer for a long time. The ground is wet because it’s been raining. Your eyes are red. Have you been crying? Jacques has been baking a cake and he’s got flour on his clothes. The Present Perfect Simple or Continuous? As you know, we can also use the present perfect simple to describe both recent actions and unfinished actions. So when should you choose the continuous form instead of the simple one? Tom has repaired my car. Tom has been repairing my car. Sentence ‘a.’, which uses the present perfect simple, means that the car is now repaired and works. The action is completed. Sentence ‘b.’, which uses the present perfect continuous, means that Tom has been occupied doing the action of repairing the car. He may have stopped or he may still be doing it. And we don’t know if the car is completely repaired or not. Our attention is on him. I live in Berlin. I’ve lived there for 20 years. In this case, the present simple works in combination with the present perfect simple. I’m cleaning the house. I’ve been cleaning since 3 p.m. The first sentence in the present continuous describes an ongoing action, and the second sentence which gives the duration is in the present perfect continuous. We’ve known each other for years. I’ve always liked this band. Have you finished yet? – Yes, I have. How many times have you been to Florida? – I’ve been twice. How long have you been waiting? – I’ve been waiting for ages. What have they been doing? – They’ve been playing computer games. A: What have you been doing this afternoon? B: I’ve been reading ‘Animal Farm’. Have you ever read it? A: No, I haven’t. How much of it have you read? B: I’ve read about half of it. It’s very interesting. 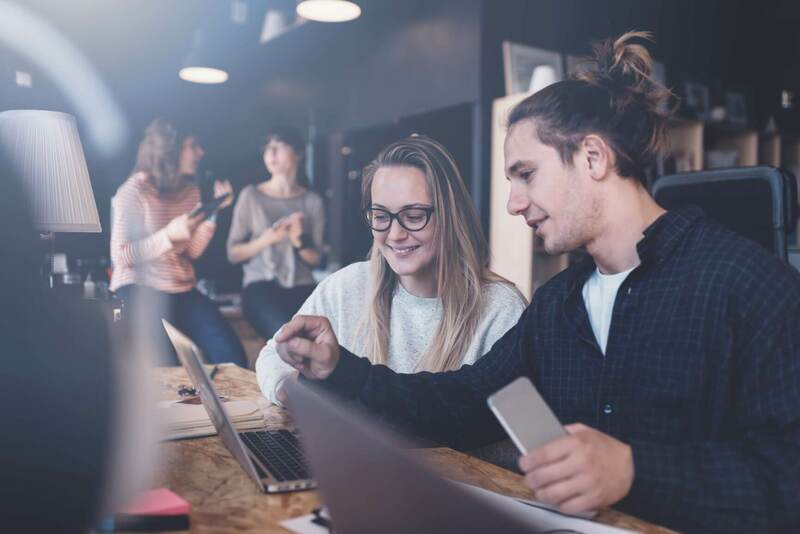 Learning the present perfect continuous enables you to express important ideas in English and can make a huge difference to your level of communication. Start practicing it now with the fun quiz on this post.